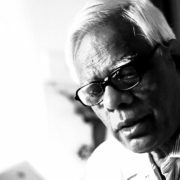 At a time when corporatisation of the media in the country is virtually complete and organisations and individuals are being increasingly hounded for their perceived political and social dissent, there are still journalists and percipient writers who work overtime to bring riveting and incisive stories to readers that delve far deeper than mundane and insipid headlines. Such writers and journalists, by virtue of the very work itself, have to write or report about the corporate sector, and the end product (be it a long-form feature or an exhaustive book) is hardly ever the subservient hagiography that corporate organisations usually look forward to in business reporting. While more writers and journalists are writing about corporate corruption and crony capitalism, it is also being increasingly seen that corporate companies have been intimidating writers and journalists with, what are described as, SLAPP suits. This is a matter of concern, especially since most scams and scandals that have rocked both the country and its Parliament since 2010 have had corporates figuring as either the beneficiaries, or at least somewhere definitely there in the murky cast of unsavoury characters. Corruption involving corporate houses ranges from simple money laundering and accumulation of black money to gross violations of both environmental and corporate laws. One cannot talk of weeding out corruption, while turning a blind eye to the roles and activities of (many) corporate houses. This is where writing about corporations assumes significance: if one is obstructed from writing or reporting about corporate houses, not only is that an act of aggression against press freedom, it is also an act that undermines democracy, by depriving the public of the right to know. 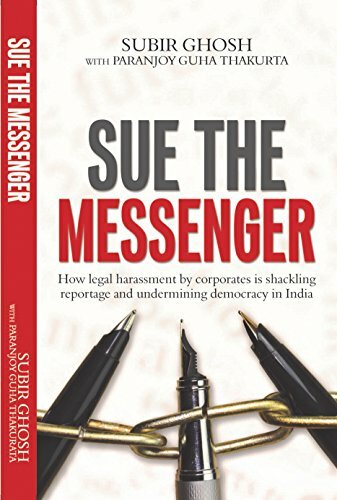 Sue The Messenger is journalists Subir Ghosh and Paranjoy Guha Thakurta’s latest book about how legal harassment by corporates is shackling reportage and undermining democracy in India. 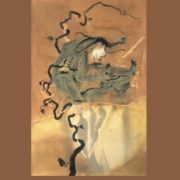 The book is about this rising trend of silencing journalists through measures known as strategic lawsuits against public participation—or SLAPPS: a collection of pieces about news stories that run afoul of corporate entities and conglomerates. Previously, Ghosh and Guha Thakurta had co-authored Gas Wars: Crony Capitalism and the Ambanis (Feel Books, 2014) with Jyotirmoy Chaudhuri. The book scrutinised gas drilling in the Krishna-Godavari basin, the legal dispute between the Ambani brothers over the pricing of gas supply, and how the Reliance group benefitted from the way government policies were structured. The authors have successfully fought legal notices from industrial giants threatening defamation worth Rs 100 crores. The publishers of Mystery of Birla House (Jugabani Sahitya Chakra, 1950), The Descent of Air India (Jitender Bhargava, 2014) and Sahara: The Untold Story (Jaico Publishing House, 2014) had earlier also faced similar litigation from corporates. At a time when paid news is increasing and the quality of journalism seems to be steadily declining, there are some rare journalists who report on stories that undermine the rule of the law. Attacks on investigative journalism are a well-known fact today, and range from physical assaults to legal arm-twisting. Neha Kirpal speaks to the authors about, among other things, the price of reporting the truth. Tell us about the idea of your books, and their relevance for readers in the present scenario. The idea is simple: it is our understanding that there is a problem with reportage about Indian corporates and the hounding of writers and journalists that comes along with that. When journalists and writers are stopped from or prosecuted for reporting, writing or analysing [these isssues], it is the citizenry that is deprived of their right to know. We felt that the people of this country need to know about this issue, and hence the book. It is unfortunate that this needs to be even asserted at all; but since it needs to be, so be it. The fact is that the press in a democracy exists for a reason, and has a role cut out for itself: to be a watchdog of the goings-on in polity and society; and as veteran British journalist Robert Fisk often puts it, to monitor the centres of power. When this power exists in the form of a politician-businessperson nexus, it becomes imperative for journalists to challenge the status quo in the greater interests of transparency and democracy. And when journalists are prevented from discharging such duties, either through legal or even physical coercion, it can only be understood as an undisguised attempt at undermining democracy. There are some who shoot the messenger; then, there are those who sue. The casualty in both cases is democracy. Can you talk about a little about the method of gathering material and investigative journalism that you have used in writing your books? In many ways, the work on both Gas Wars and Sue the Messenger was similar. Both drew heavily from existing information, did value addition in terms of new angles, impressions and some information, and then contextualised all that. Both presented the big picture for readers. What are the difficulties in writing biographies of big business corporations or their affairs? Corporations and business people are secretive and opaque by nature. They find it hard to digest the fact that good, investigative journalism is very different from the laudatory and obsequious media coverage they usually get. They want hagiographies, and if they get even the hint that a particular writer or journalist is unlikely to pay ball, they don't cooperate. What was so controversial in the books that was perceived as a threat by the corporates? Broadly speaking, it was the violations of corporate and environmental laws and regulations as well as the subversion of the democratic process by politicians (in order to help their corporate friends), which can be put down in simple terms as crony capitalism. In a world increasingly inundated with paid news, what kind of challenges did you have to face for reporting the truth in your books? What is the attitude of regulatory authorities such as the Ministry of Corporate Affairs (MCA) in dealing with requests for information from journalists? Digging out information in India is a nightmare. Even elementary datasets are hard to come by. In the case of the MCA, you need to pay for every document related to a company that you want to access. I think people—journalists and non-journalists alike—should be free to access any information that is supposed to be in the public domain. Writing about SLAPPs in the Indian context is itself a problematic chore. There’s precious little dedicated documentation available, and the subject of SLAPPs often gets drowned in the overall outrage about free speech and defamation. Needless to say, public awareness is nothing worth writing home about yet. What is your assessment of the legal system when it comes to defending the free speech rights of journalists who do in-depth reporting of the corporate and financial affairs of corporations? The lower courts are a problem. But by and large, most rulings in the Supreme Court as well as High Courts have been in favour of journalists, writers, news establishments, publishers. Most SLAPPs are meant to harass writers and journalists as well as intimidate others into silence. But yes, we do need a law to prevent SLAPPs. The suppression of dissent and free expression with an iron hand never augurs well in the long run for a democracy. For that matter, neither in the short run. 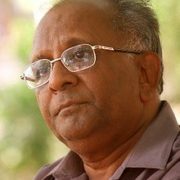 With much of the outrage in public discourse on the dangers posed to democracy being restricted to issues of nationalism and secularism (or, say communalism), lost in the din has been the issue of democracy being undermined in a milieu where critical reportage takes a hit because of SLAPP suits that corporates initiate against writers and journalists. Having personal experience in the domain, what advice would you give to writers like yourself on dealing with harassment of this kind? At the end of the day, the truth remains your best defence. One way of dealing with SLAPPs is to go to the public. Tell people why a certain corporate entity is harassing you. Believe me, that's the last thing that a corporate group would want. After all, they were harassing you because they didn't want the people to know about a particular incident or violation. It is not without reason that bloggers have emerged since the mid-2000s as a possible alternative to the mainstream media, which not only crawls when asked to bend, but also desists from going against corporate interests. And in that, analytical and incisive blogging also becomes crucial to the democratic process: when the mainstream media doesn’t do its job of questioning the status quo, someone else must step in. Neha Kirpal is the author of Wanderlust for the Soul, an e-book collection of short stories based on travel in different parts of the world. You can read all her published work on her blog www.nehakirpal.wordpress.com. 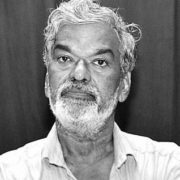 Subir Ghosh is a Bengaluru-based independent journalist-researcher who writes about conflict, ethnicities, wildlife, human rights, sustainable fashion, poverty, and cinema. 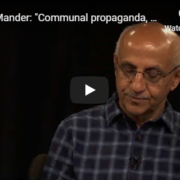 He has worked as a journalist for the Press Trust of India, The Telegraph and DNA, and has started Newswatch, a website which collates news about the media industry, press freedom issues, and journalistic ethics. He has also launched two e-zines: The Reviewer and Northeast Vigil. Besides his writing interests, he works as a political and environmental risk analyst and editorial consultant with both corporates and voluntary organisations. Paranjoy Guha Thakurta is a journalist, teacher, documentary film-maker and publisher with nearly four decades of work experience. His work cuts across different media: print, radio, television, and documentary cinema. 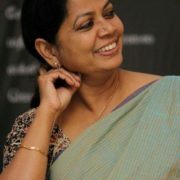 Guha Thakurta has been employed with various media organisations and has been a visiting faculty member at reputed educational institutions as well as a consultant with various organisations. He is currently the editor of the Economic and Political Weekly.